Lyft has made available an SDK developers can incorporate to integrate ride requests and other capabilities of the on-demand transportation service into their iOS apps. The release of this offering, which is built on Swift 3, comes two months after an Android SDK was produced. What’s more, Lyft has open-sourced its SDK, placing the code on GitHub for developers to play with. Using the SDK, third-party apps can incorporate Lyft right into their offerings, removing potential friction points and hopefully generated a seamless user experience. The developer tool allows apps to retrieve ride costs, ETAs, ride types, and also provides “multiple deeplink options” into Lyft. 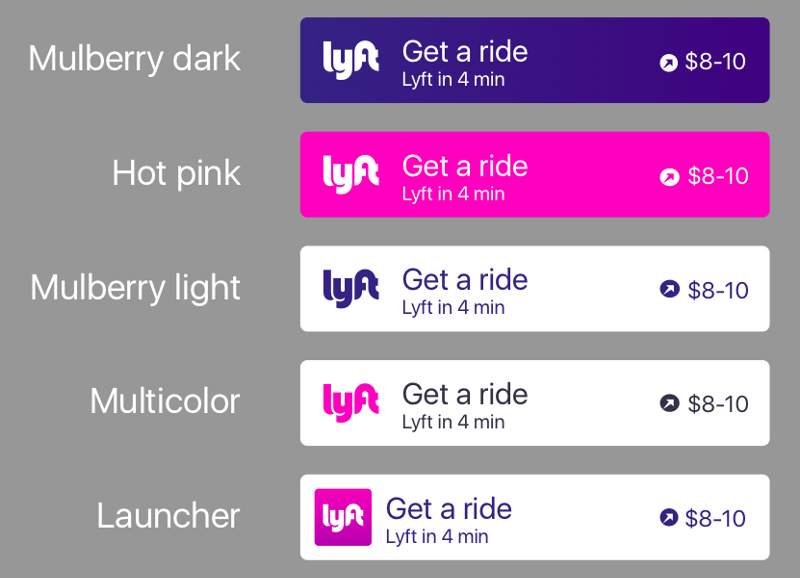 Like with its Android SDK, the company also lets you tweak the Lyft button to appear in one of five styles — mulberry dark, hot pink, mulberry light, multicolor, and launcher. There’s also a programmatic way for developers to display cost, ETA, and the ride type within the button. Above: Lyft’s ride request SDK for iOS lets developers programmatically modify the request button. While the competition between Uber and Lyft rages on, the battle is taking place on multiple fronts, including with developers. But this should be beneficial to third-party apps because now it gives the end user more choices to get from point A to B, whether it’s to go to a restaurant, the airport, theater, concert, festival, or anywhere else.